Valerian and Hops have a long history of helping provide relief of sleeplessness. Both Valeriana officinalis and Humulus lupulus have a long history of helping provide relief of sleeplessness. Discover more about the Ze 91019 formula used in Flordis ReDormin Forte, how it can work, and the key studies that support its benefits. 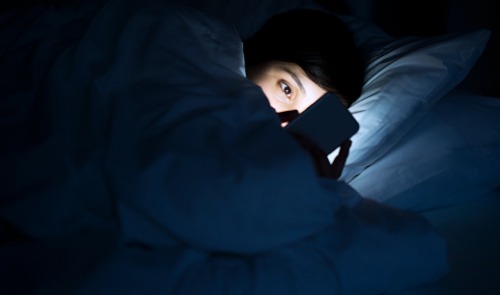 Although Hops and Valerian have reported their own benefits, their synergistic combination has demonstrated significant benefit for the relief of sleeplessness. The specialised combination of Ze 91019 used in ReDormin Forte is well researched and has been the choice of millions of people worldwide. Ze 91019 is the specific combination of Valeriana officinalis and Humulus lupulus used in Flordis ReDormin Forte. Thanks to a careful and complex production process, the Ze 91019 extract can consistently contain the same composition and amount of active components, making it possible to investigate the efficacy of this fixed combination in clinical studies. 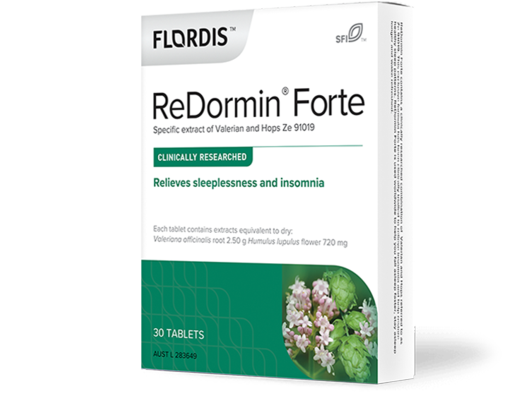 Preclinical studies suggest that Ze91019 in ReDormin forte may work by acting on receptors of melatonin and adenosine. More than 10 years of research conducted with Ze 91019, involving more than 3600 participants.1,4-7 The below table highlights some key clinical studies conducted on Ze 91019. There may be several products on the market labelled as containing a particular ingredient – such as Valeriana officinalis and Humulus lupulus. So what makes the Ze 91019 extract in ReDormin Forte different? Natural healthcare products can vary considerably depending on how they are produced. The specific Ze 91019 combination used in ReDormin Forte is produced using a meticulous process with careful consideration and control at every stage of creation. This helps ensure that the natural medicine you are getting contains the exact ingredient, in the exact amounts demonstrated in clinical research to relieve sleeplessness. That’s the Flordis difference. Rigorous quality control processes and extensive testing help ensure that the Ze 91019 combination can provide the desired health outcomes demonstrated in clinical studies. With no known morning drowsiness or rebound insomnia recorded based on clinical research and worldwide surveillance reports. 1. Fussel A, et al., Eur J Med Res 2000;5:385-390. 4. Koetter U, et al., Phytopher Res 2007;21:847-851. 5. Lataster MJ, et al., Notabene Medici 1996;4:182-185. 6. Notter D, et al., Phytotherapy 2003;3:9-13. 7. Morin CM, et al., Sleep 2005;28(11):1307-1313. Dr. Morin has received research support and consulting fees from Sanofi-Aventis, Takeda, Pfizer, Neurocrine, and Sepracor. 8. Brattström A. Wien Med Wochenschr 2007; 157/13-14:367-70. 9. Schellenberg R, et al., Plant Med 2004; 70:1-5.